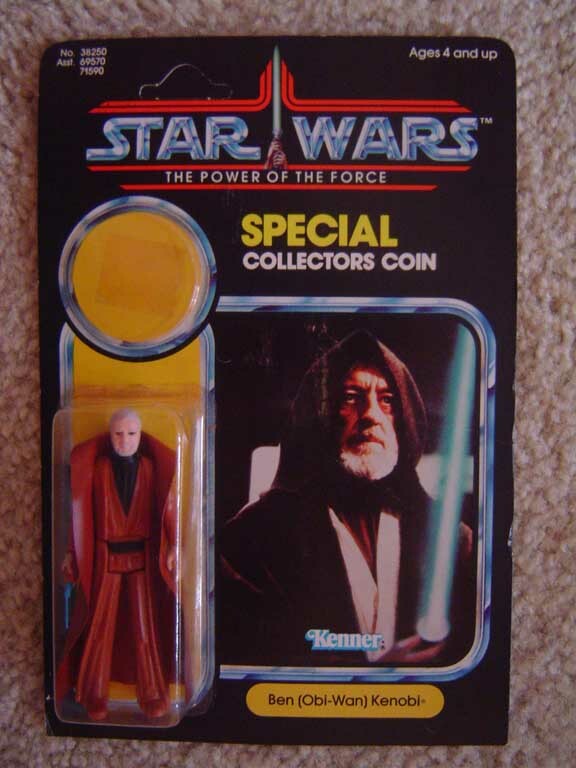 The Power of the Force carded sample shown above is a mock-up example. Both the coin and figure bubbles are seperate entities and hand-applied to the 92-Back proof card. Unfortunately the coin is no longer present, however Adam has chosen to preserve the piece's historical integrity by leaving it in the exact same fashion in which it surfaced. Although not visible from the front view, the back of the card exhibits velcro presence, suggesting the mock-up was once affixed to an object such as a presentation board. A mock-up like this probably served a function as an in-house or industy show display sample.